Flip as many coins as the years you are old. 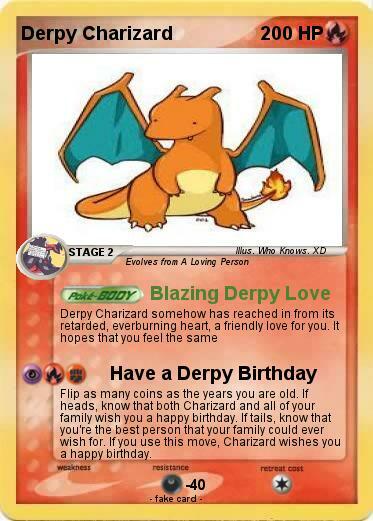 If heads, know that both Charizard and all of your family wish you a happy birthday. If tails, know that you're the best person that your family could ever wish for. If you use this move, Charizard wishes you a happy birthday.